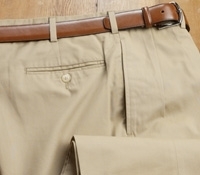 Moleskin trousers cut in our American workroom from 10.5 oz. 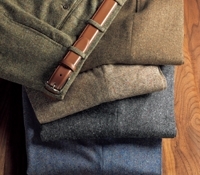 English cotton. 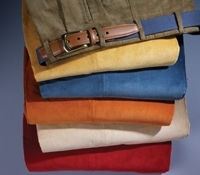 Available in either HBMF-forward pleat or HBMP-plain front and in sizes 32–44 even, and 33-39 odd. 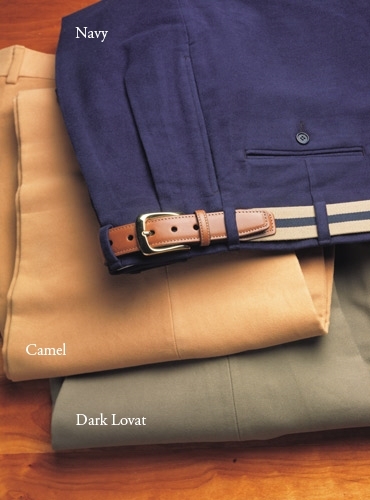 Top to bottom: H-navy; B-camel; A-dark lovat. 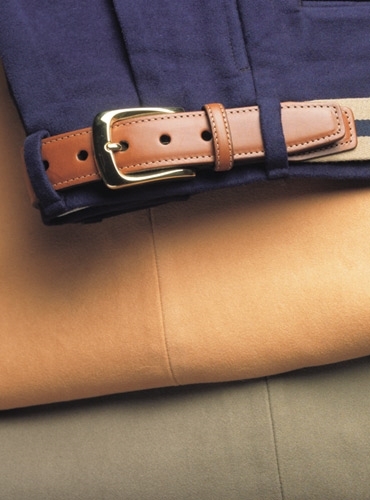 Complemented by our striped surcingle belt in camel. Available in E-black; F-taupe; and G-olive in limited sizes.